A recent murder trial involved multiple co-defendants and a stabbing. A compilation of CCTV footage was presented to the court by a police officer, who invited the jury to identify an object in one individualâ€™s hand as a knife. Yet the Defenceâ€™s digital forensics expert found frames, missing from the Policeâ€™s compilation video, showing the object in question falling from the individualâ€™s hand and lighting up when it hit the floor. This object was therefore more likely to be a phone than a knife. Catching up with the police officer who had presented the evidence for the Crown, the expert hoped there would be no hard feelings. At this point, the officer explained that he had only recently been promoted from PCSO and had spent 300 hours viewing the CCTV without any training whatsoever. Whatâ€™s more, the commercial software he had used is notorious for dropping out frames. In our expertâ€™s experience, what seems to be happening is this: a police officer or civilian technician reviews all the available CCTV in a criminal investigation and then produces a compilation for use at court. S/he is then called, not as an expert, but as the officer who has reviewed all the CCTV and assembled the compilation. The compilation is played to the court and the officer is asked to talk the Court through what they are looking at. Thatâ€™s perfectly fine if the quality of the recorded images is such that everyone in court can see and agree on exactly what the footage shows, as it invariably is in TV crime dramas. But that is plainly not the case, especially since the compilation video shown in court is not the original footage. 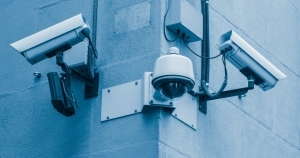 Frequently, the Police will simply ask the shop owner or pub landlord to supply then with a copy of their CCTV on a disc, which means that images are not always recovered in their native format. Then, when the Police download the images themselves, they use a USB stick which is then copied onto a DVD back at the station and they then re-format the USB stick to avoid having to purchase another. The original footage in the shop or pub is taped over and the primary copy, which might in practice be considered the original has also been wiped. This is compounded by the fact that not all officers are trained in the acquisition process and will frequently fail to recover images in their native format. By the time the Defence get to examine the CCTV, the original footage has been over-written on the System DVR and we are left with 3rd or 4th generation highly compressed video in cases where it is necessary to undertake very detailed analysis â€“ for example, facial mapping and clothing comparisons, where access to the original imagery in its native format would provide the best chance to extract fine detail. The CCTV evidence often forms a major plank of the Prosecution case and the powers that be donâ€™t seem to realise that if the acquisition process is flawed, then everything downstream is potentially compromised. A retired circuit judge believes that the trial judge in the above murder case is at fault in allowing the officer â€œto talk the Court through what the jury are looking atâ€. Take an example from the photos of a crime scene. The prosecutor is entitled to place these before the jury; and to invite them to look at features within the photos. However, what counsel say is not evidence. When the officer is in the witness box, s/he is there to give evidence. Unless what is apparent on the compilation tape is obvious to the viewer, in providing a commentary on what the compilation tape shows the officer is â€˜interpretingâ€™ the tape. â€˜Interpretationâ€™ of evidence is the function of an expert. Accordingly, before such a witness should be allowed to â€˜interpretâ€™ that which is not otherwise obvious to an uninformed observer of the tape, the expertise of the officer needs to be established appropriately. Otherwise the evidence is strictly inadmissible. Financial cuts have undoubtedly put a strain on the Crownâ€™s resources but, if they have problems, consider the lot of the Defence. In CCTV cases, experts instructed by the Defence almost always have to work with one hand tied behind their back. Firstly, it is almost impossible to get prior authority from the Legal Services Commission for sufficient funding to undertake the necessary work. A typical case may involve a height calculation of a suspect at a scene. If an expert is instructed by the Crown, everything s/he needs is provided â€“ full access to the premises concerned and/or CCTV control room, officers on the ground to assist, close a street if necessary, all with sufficient funding to do whatever is required. If instructed by the Defence, chances are that the shop and certainly the CCTV control room will not permit them access, they will very rarely get any cooperation from the Police and they would have to jump through hoops to persuade the Legal Services Commission that all of this was necessary in the interest of Justice. Nine times out of ten, when instructed by the Defence, the best the expert can do is to review the copy CCTV that has been served, to review their expert report and complete a report on their own findings â€“ essentially a desk-top exercise compared to the many hours and facilities which have been provided to the Prosecution expert. CCTV evidence, as all forensic evidence, requires expert interpretation for the court and jury to understand its significance and limitations. According to the CPS, that expert must be â€œimpartial and sufficiently qualified in a field of expertiseâ€. Without that expertise, the presentation of such evidence is inappropriate and inadmissible.